Towards reaching our business goals we are establishing a software development team in Karachi, Pakistan which will work very closely with the London head office. As such we are looking to hire a senior, technically capable, and versatile candidate to shore up the skills in the SQA function. The ideal candidate will be someone who is capable of working independently and a good learner. He/ She will be fully involved to determine project QA estimation, planning, requirement analysis, test-case writing, authoring automated test scripts, test-case execution, document inspections; defect-reporting; and continual improvement activities. Take a leading role in manual testing; actively involve in creation of detailed test plans, test cases and test scenarios for different application modules according to functional requirements and business specifications. Conduct smoke, functional, UI, regression and ad-hock testing and closely coordinate with PM. 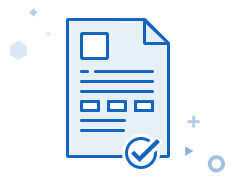 Identify, analyze and document defects utilizing JIRA as bugs tracking system. Work closely with development team, BA and QA teams as well as stakeholders and members of management. Take an active role in static testing activities such as design review and requirements inspections to identify ambiguity and inconsistency in requirements as well as improve design of company software products and all other assigned projects. Responsible for defect tracking, defect reporting and defect reproducing. JIRA must be used to log all kinds of bugs and defects in a timely manner. Extensive involvement in Mobile testing (iOS and Android) for native and hybrid platforms. Identify behavior of Web application on different screens and layouts. Responsive testing of different screen sizes, browsers and devices. Test compatibility of applications on different platforms (Windows and Linux), browser versions (Edge, Firefox, Safari and Chrome etc). 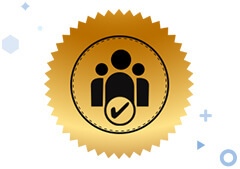 Create traceability matrices; maintain test and bug reports and other test related documents. Take part in system integration and user acceptance testing (UAT) at later stages of SDLC. Lead initiative for proper detailed documentation of QA reports. To utilize knowledge of Testing Techniques, Types of Testing and Test Levels at different stages of our products and projects. Module wise testing and then complete application testing (black box) as per the test scripts and requirements specification documents.